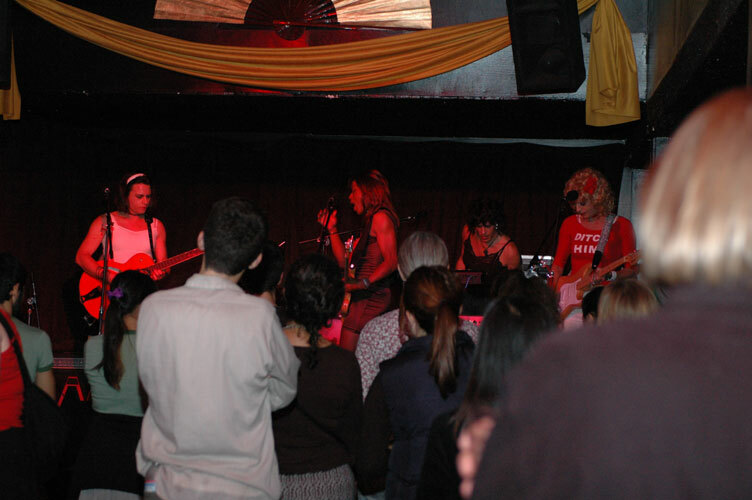 Lipstick Conspiracy, at Eli’s Mile High Club, Oakland, CA. Sarafina, Emme, Shawna, Tori and Marilyn. Photo by Shausta.